To perfectly finish your windows. From simplistic tracks, rods, rings and finials to solar-powered motorized drapery tracks with remote control operation – we have everything you need to perfectly finish your window. We carry hardware track that’s bendable for curves or reverse curves so they can accommodate any shape. We only carry quality wood and metal drapery rods – no inferior telescoping rods here! High quality hardware will prevent an annoying sagging curtain rod. Open and close smooth action. No longer will you be annoyed with a sagging curtain rod and that little groove that always catches your drape as you open them in the morning. If you’re look for a specialized item, chances are we have it in-stock. 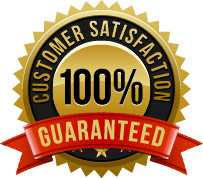 In fact, our competitors send their customers to us because we have such a complete selection. Contact us today to find out more. Somfy motorized interior blinds are ideal for large windows, high-up or hard-to-reach window coverings. Somfy motorized blinds can be installed on all types of interior window coverings. Contact us or learn more. Save up to 50% off Hunter Douglas Blinds & Shades. Choose from selected products on installed orders. Ask your decorator for details during your consultation. 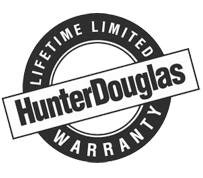 Offering the most enhanced Hunter Douglas products and the latest innovations in energy-efficient window coverings.